Home World Affairs Bangladesh-China bilateral trade to reach $18 billion by 2021. 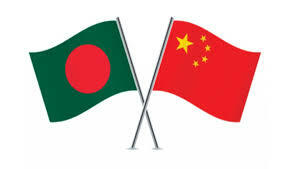 Bangladesh-China bilateral trade to reach $18 billion by 2021. Previous articleBSP chief Mayawati won’t contest Lok Sabha polls. Next articleIndian parliamentary delegation holds meeting with Speaker of Japan House of councillors.